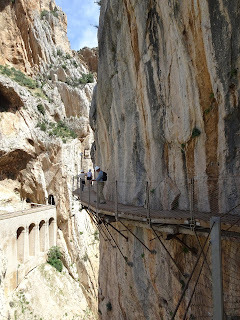 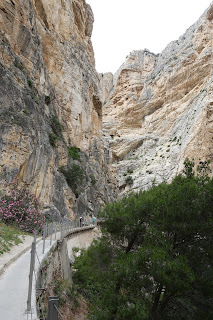 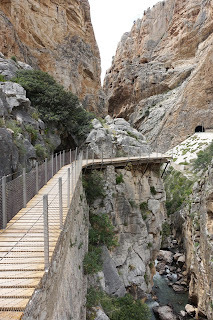 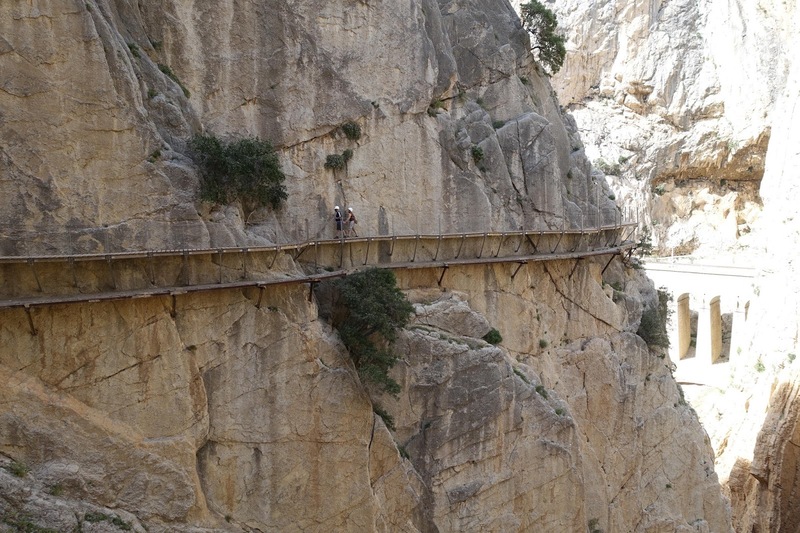 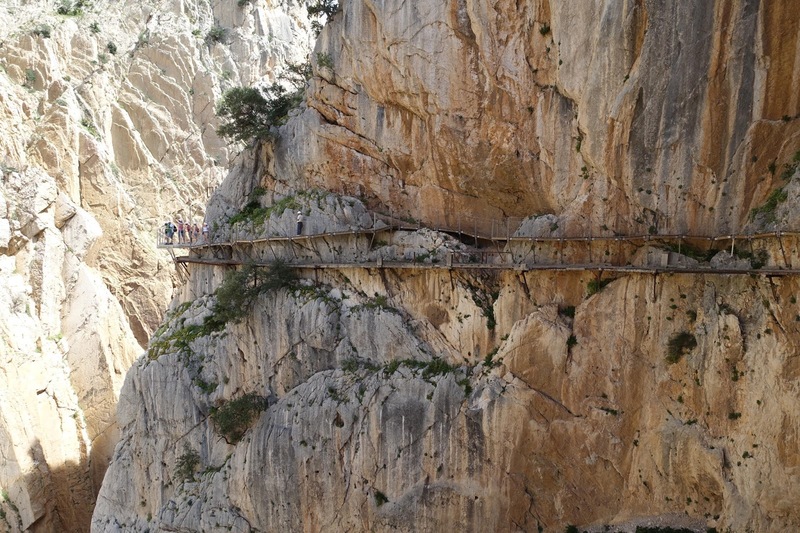 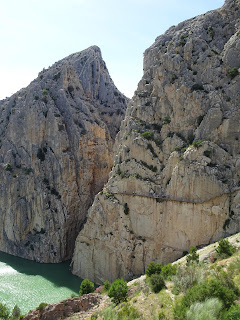 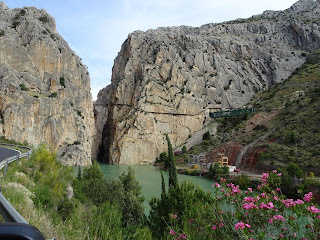 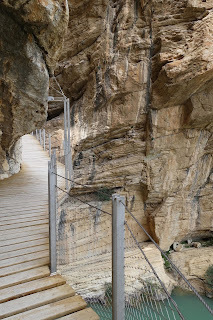 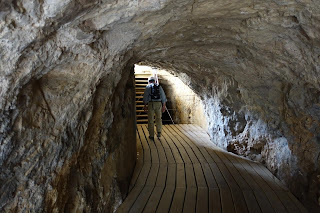 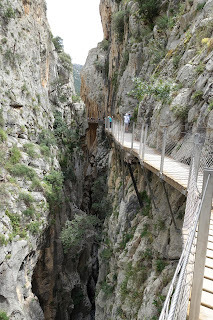 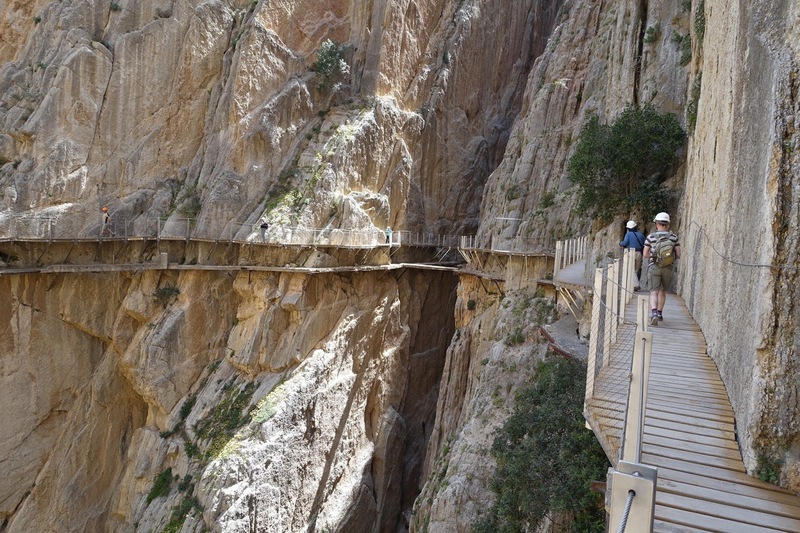 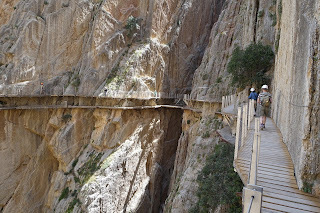 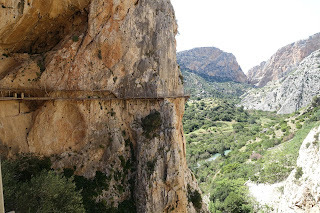 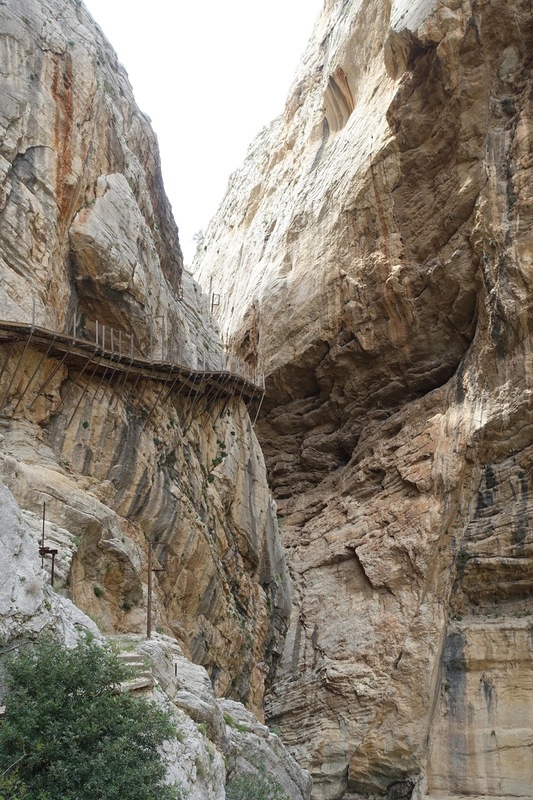 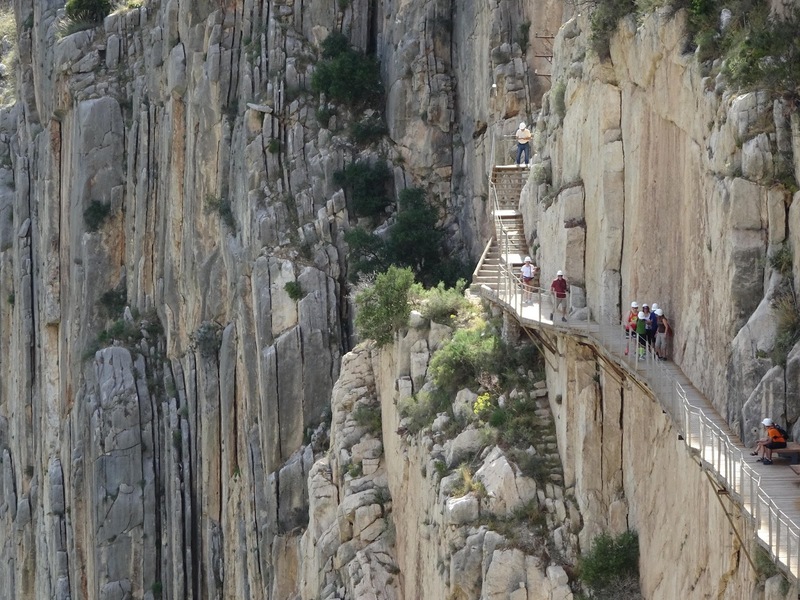 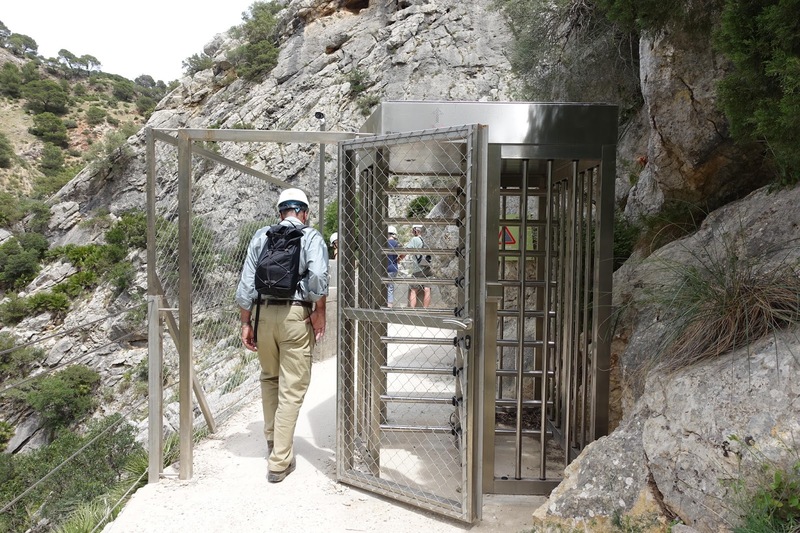 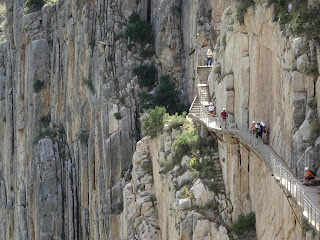 El Caminito del Rey is a pathway thru a narrow gorge in El Chorro. We first heard of the pathway after watching a YouTube video. 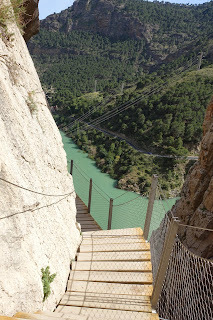 The path was terrifying but the scenery was fabulous. They closed the area after several people were killed. 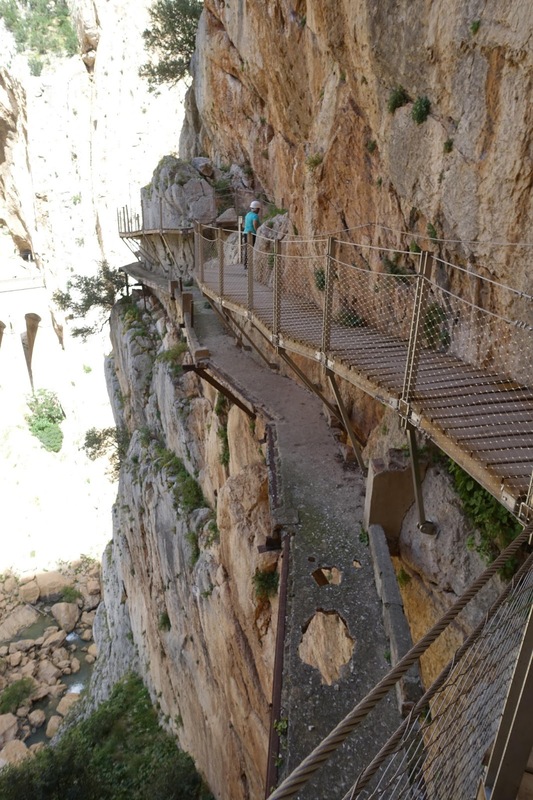 They have since made extensive repairs and improvements. 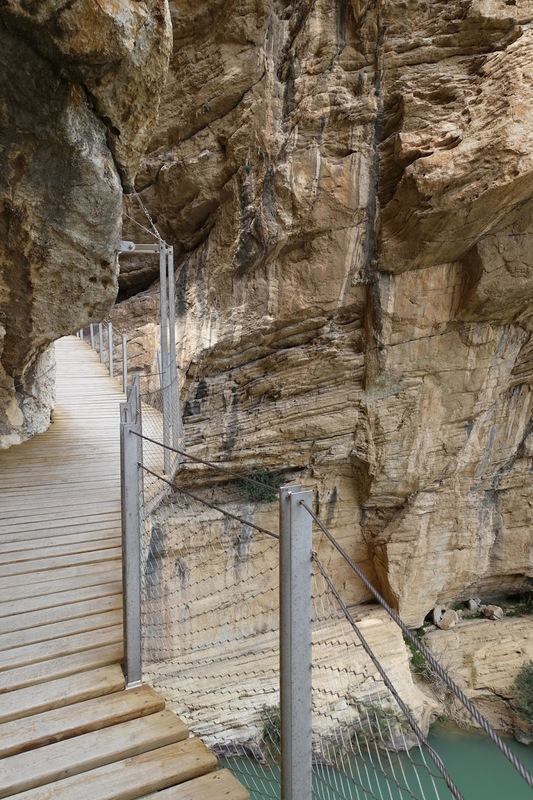 The pathway reopened 2 years ago. 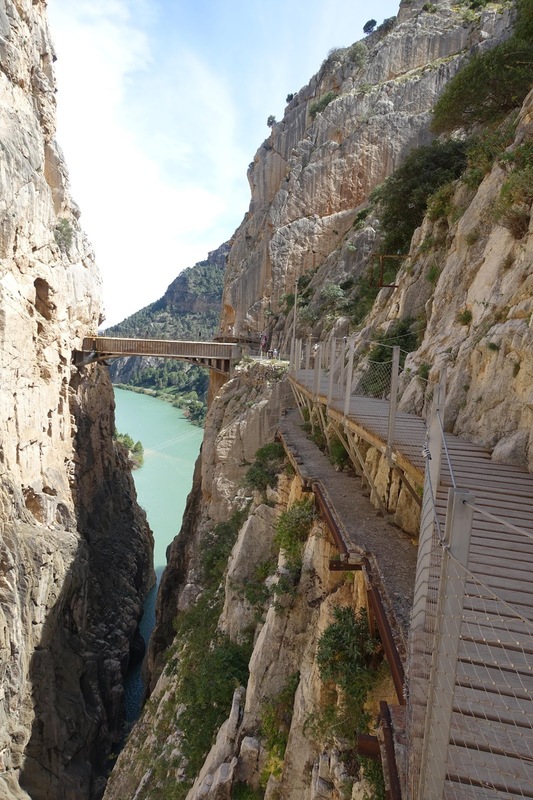 You must buy tickets in advance for a day and time to enter the pathway, but it was worth the planning ahead. 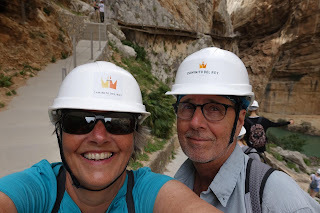 Before entering the gate you get a safety lecture and a hard hat. 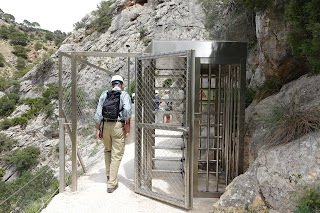 After that you are on your own. 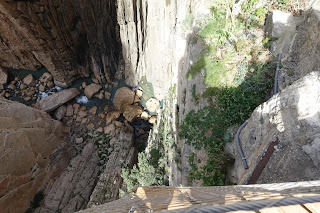 This was Bill's birthday celebration, a day late but worth the wait. 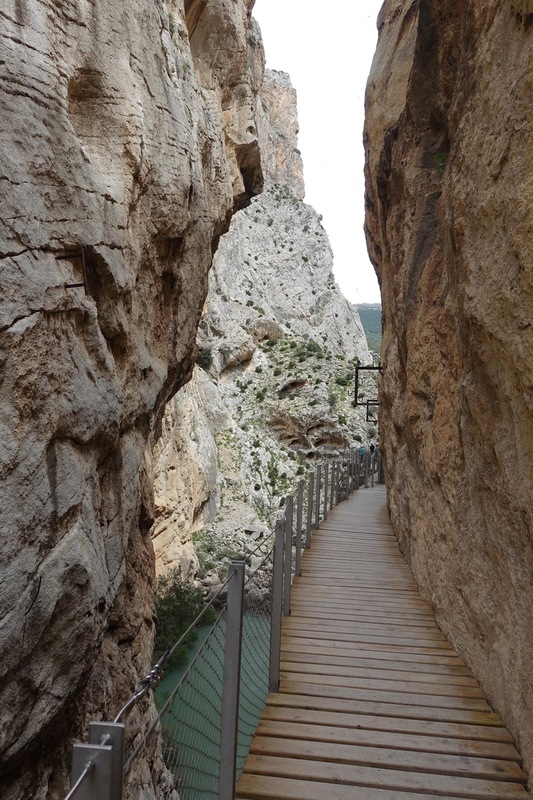 Views of the pathway. 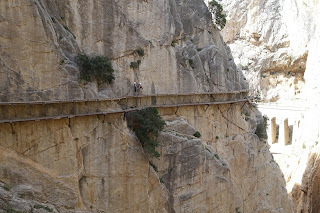 In a lot of the photos you can see the old path. 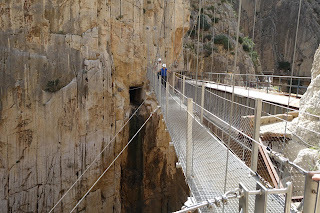 We are having a really good time. Looking back at the path from the trail to El Chorro. 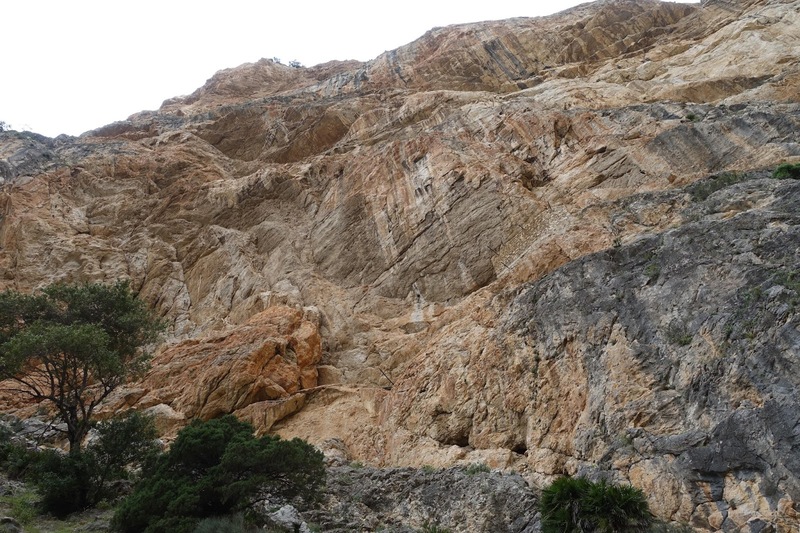 The line across the rock face with stairs climbing up on the right is the path. Last look at Caminito del Rey from the road.